Hello and welcome to my official web site. Check out my FaceBook page, Google+ page, and my blog as well for ongoing news and comments. Below are a couple of examples of my work on YouTube as well as a few of my favorites. I will rotate these videos periodically	but they are always available on myYouTube Channel. For a complete listing of videos and the opportunity to buy sheet music of my work, click on MUSIC above. My arrangements for hymns are done for medium to advanced organists and are suitable for preludes, offertories and postludes. Check back often as I am working on new ones all the time. There are also a few original pieces of mine as well as an arrangement of "Jacob's Ladder" that the sheet music is free to download by clicking here. 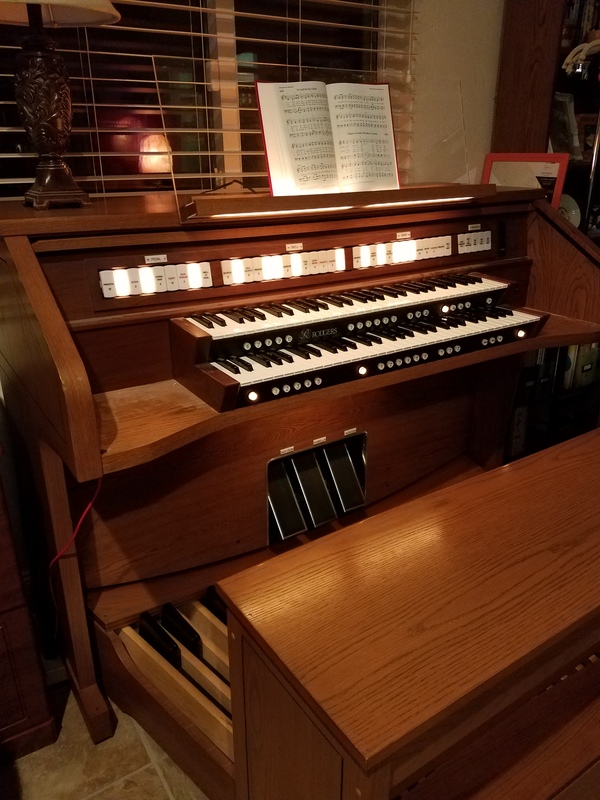 I've recently acquired my present home organ (first for quite a few years). It is a Rodgers 690.